The heatwave is gone and summer is in its closing stages (sorry!) so it comes as no surprise that there’s already mention of December in one of this week’s charity entries. 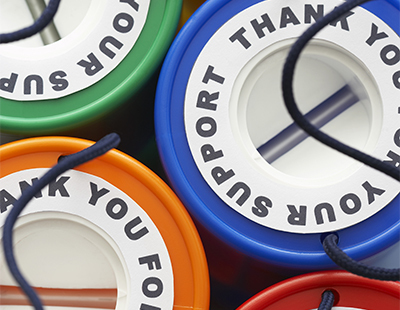 As agents prepare for autumn, don’t forget to tell us about your fundraising efforts. Drop us an email at press@estateagenttoday.co.uk and let us promote your good work. Now, what’s this about December then? 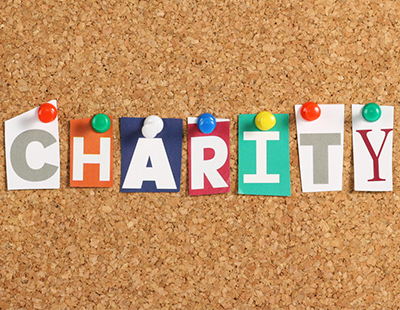 Agents Giving: The industry’s very own charity is celebrating another year of fantastic fundraising efforts with its Fundraising Champion Awards 2018. These take place at the Agents Giving Charity Ball on Friday December 7 at The Marriott Grosvenor Square Hotel in London. They will recogniose the great charity and community work carried out by the industry over the last year, all with one thing in common; to raise funds and awareness for some really worthwhile causes. 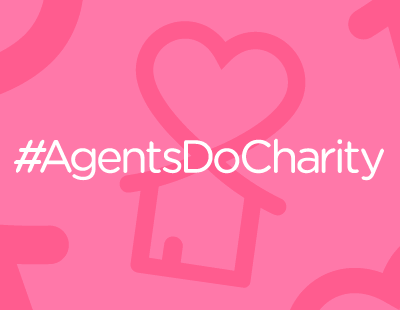 Veteran agent Michael Stoop, director of Agents Giving, says: “There have been so many wonderful fundraising stories and charity events this year which, once again, highlights the great work that agents and suppliers are doing in their communities”. The ball is also hosting its first Agents Got Talent competition where a selection of the industry’s most gifted will perform in the talent line up on the evening to see who will walk away with the 2018 trophy. Agents Giving are now taking bookings for tables or individual tickets at £1,600 per table of 10 or £175 per individual ticket. Best Team or Company Fundraising: Recognising the team or company that has really committed to raising money and showing support over a period of time, who have organised on-going events, and have involved their whole team in their fundraising effort and most of all had fun in the process. Best Individual Fundraising: This category celebrates those people who do the most extraordinary challenges, and show a real personal commitment to their fundraising and the story behind their efforts. Best Creative Fundraising: Highlights those imaginative and different fundraising ideas, which still go the extra mile to make a difference to the cause. 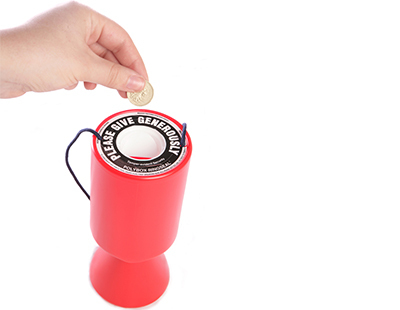 Best Industry Supplier Fundraising: This category thanks the efforts of the suppliers to the industry that do such a great job fundraising and supporting charities and causes by donating time or their services to those in need of them. Special Fundraising Award: This is for the person or company who consistently goes the extra mile and has shown extraordinary determination and motivation to provide on-going support to their cause in whatever way they can. Best Agency CSR Award: It isn’t just about recognizing agents for responsible and sustainable practices. It is about rewarding change, building platforms to learn, share and put in place ideas and encouraging ethical business practices. This award aims to recognise agents that puts Social Responsibility and CSR at its base, demonstrating its commitment to change and improvement. Fine & Country Foundation: Richard Meyerowitz from F&C Bury St Edmunds set himself the task of cycling 2,500 miles in 2018 - he’s already done some 900 towards the total. He’ll now be racing in or around the Suffolk area, starting with the Ipswich Cycle Swarm on September 30 - a 100 mile race will bring the riders through Woodbridge, Farmlingham and onto Dennington. Richard will spend the remaining months of 2018 cycling in competitive races and recreational training to build up to 2,500 miles. “The nutritional requirements for the challenge require me to burn around 2,000 to 3,000 calories in a single 50 mile ride. I am so fortunate to be able to fuel myself by eating well at home. This is a luxury and something that I want everyone to be able to afford: a healthy diet. The money raised will help those who need it most, but it cannot be done without your help” he says. To support Richard, please visit www.justgiving.com/fundraising/richard-meyerowitz1. Meanwhile you can join Fine & Country Leamington Spa and Stratford-Upon-Avon for a magnificent lunch and fashion show on September 16. There will be an afternoon of entertainment including a two-course lunch, fashion show, auction and raffle draw. Fine & Country will host the event to support Helping Hands Community Project, a local charity in Leamington Spa which provides support for homeless and vulnerable people in the area. Fine & Country have worked closely with Helping Hands for years, through The Fine & Country Foundation. The money raised from the event will contribute to the renovation project undertaken to improve the infrastructure of the centre. Ticket are £30 per person, with more info from leamington@fineandcountry.com or 01926 455 950. And still with the foundation Deborah Heath - owner of Design by Deborah, a member of Fine & Country Interior Design - later this month tackles the Raid Dolomite: this takes cyclists through France, Switzerland and Italy in just nine days. Starting at Lake Geneva, the quiet and winding Alpine roads are a gentle start to the adventure. However, the route quickly became steep and mountainous, taking Deborah to ascents of 3,100m. Turn2Us/Citizens Advice: Computershare has donated £5,000 to Turn2us and Citizens Advice Maidstone to fund projects supporting people experiencing financial hardship in the second round of funding from its Loan Services Charity Donation Fund. Maidstone will receive the remaining £3,500 which will allow them to run a series of appointments to support visually impaired or blind residents in Maidstone with complex matters relating to housing, personal finance and benefits. Computershare announced the creation of the £20,000 fund to help prevent financial hardship and support those experiencing money problems in September last year, committing to donating up to £5,000 to good causes every quarter. Turn2us is a national charity that assists people who are struggling financially to gain access to welfare benefits, charitable grants and other financial help. Citizens Advice Maidstone is a registered charity which provides advice on a wide range of issues affecting the residents of Maidstone. Leeds Charities: Leeds-based agency Manning Stainton has donated almost £25,000 to local charities, schools, sports clubs and community projects in the first six months of 2018. From January to June, the estate agent donated £24,085 to a wide variety of local school projects and events, sponsored numerous local sports teams and contributed to community events and festivals happening across Leeds. Through its Community Fund initiative, it has supported more than 67 causes, projects, schools and teams over the six-month period, demonstrating its commitment to the local communities it operates in.